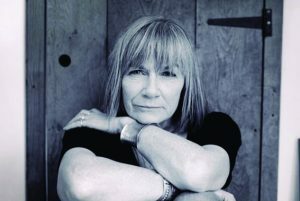 Nell Leyshon is a much-acclaimed playwright and novelist. Her first novel, Black Dirt, was longlisted for the Orange Prize and shortlisted for the Commonwealth Book Prize while her best-selling novel, The Colour of Milk, has been published world wide. Her plays include Comfort Me With Apples, which won the Evening Standard award, and Bedlam, which was the first play written by a woman for Shakespeare’s Globe Theatre. She also writes for BBC Radio 3 and 4. For many years, she has taught creative writing and performance, focusing on developing skills and self-esteem, and, always, the writer’s own original voice.